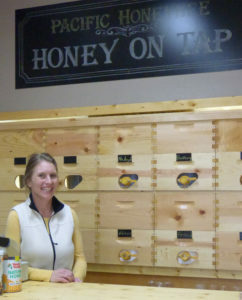 Opened in December, The Honey Haus offers more than just honey. The walls are lined with bee and honey-themed products and the center of the room is set with tables for tea – best served with honey. Anderson-Rumely encourages sampling, especially by kids. The honey – which is provided to the store by Pacific Honeybee, the commercial beekeeping company Anderson-Rumely owns with her husband, Leo Rumely – is both raw and 100 percent pure, making it a combination of tasty as well as healthy. The Rumelys, who have been in the commercial beekeeping business for eight years, both grew up around grandfathers who were beekeepers. “My husband’s great grandparents met beekeeping,” Anderson-Rumely added. But for the Rumelys beekeeping started out as a side-business that soon took off. Now Pacific Honeybee keeps more than 1,000 colonies, which they move from crop to crop, pollinating fields all over Oregon and California. “If it was in more people’s hands, that would be great,” she said of the need for more U.S. beekeepers. According to Anderson-Rumely, much of the honey used in the United States is currently imported from other countries and most of that is impure, contributing to both lower honey prices for American beekeepers and an inferior product for customers. But bee “farmers” are in short-supply, according to Anderson-Rumely, who said that the art of beekeeping isn’t being passed down through family lines the way it once was. 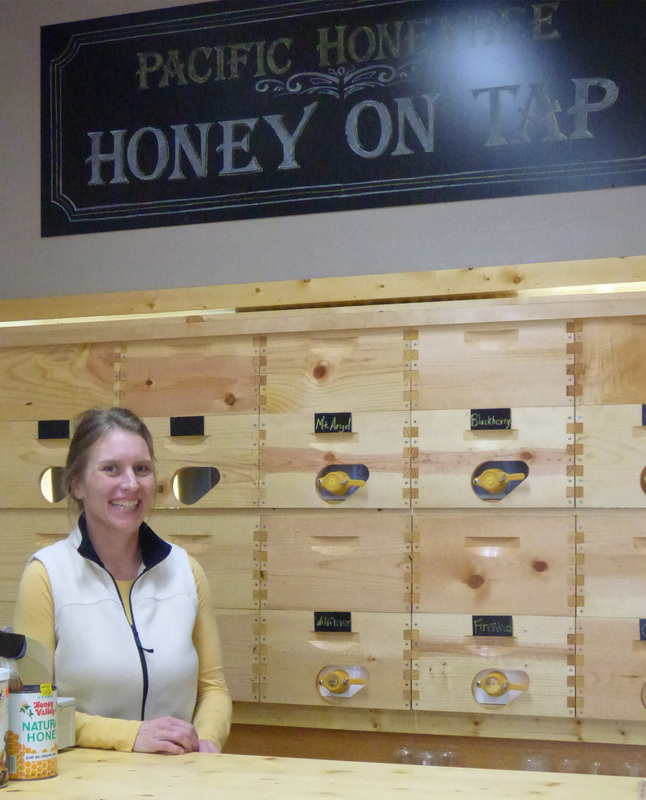 In an effort to encourage more local beekeeping and a higher public consciousness around the subject, the Rumelys are offering an education night for adults at the Mt. Angel Public Library April 25 at 6:30 p.m. The Rumelys will also be taking orders for nucleus colonies starting on April 20. Anderson-Rumely is quick to point out that much additional education and planning is required to begin beekeeping. For those who are not interested in keeping bees, but want to support the ones in their environment, Anderson-Rumely recommended growing bee-friendly flowers, eliminating the use of chemicals on lawns and gardens and putting out wasp traps in the spring. Overall, Anderson-Rumely is just hoping to spread the word about being kind to bees. Mt. Angel Public Library 290 E. Charles St. Thursday, April 25, 6:30 p.m.